Older manufacturing technologies, usually called "through-hole" circuits, required large circuit boards with holes physically drilled through them. 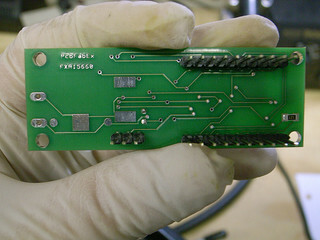 SMT production, on the other hand, uses a two-in-one glue and solder to eliminate the holes and create direct electronic connections. This means lower prices for you across the board, and more options for your customers! With SMT manufacturing, the lower limit on component size is only restricted by current miniaturization technology. Current SMT circuits can host components which are only 0.4x.0.2 millimeters, and the next-gen standards are going to cut those numbers down by nearly half again. This means more features on-board, with smaller device sizes. Given the trend towards making everything handheld, this is critical for creating devices that will resonate with the public. 2 - Dual-sided circuit production. Another reason SMT products are smaller is that it allows for circuits printed on both sides. 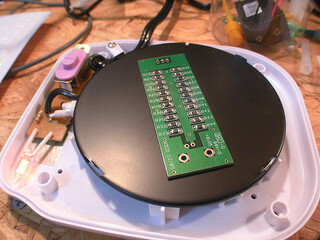 Traditional through-hole manufacturing could only have components on one side, because the opposite side was reserved for the wiring connections. Again, this means higher component density and smaller end-user devices. For various complex reasons involving the programming of robots, it's much faster to set up an SMT assembly line, even for creating multiple variations on the same product. Likewise, all the drilling required for through-hole circuits significantly increases the number of defective products even on a well-tuned assembly line. This faster setup time pays off in lower costs throughout both production and pre-production. SMT prototypes will be cheaper than through-hole prototypes, which makes it more affordable to create multiple protos before committing to a final design. Because SMT production minimizes the number of open wires, this means the resulting products will be more resistant to electronic interference and RF signal effects. In some cases, this may even make it easier to pass any FCC regulations on RF emissions from the devices you create. Interference is one of the most infuriating problems that can come up with a device, since there's very little an end-user can do about it. Electronics that aren't affected by the local WiFi or wiring environment will be perceived as higher-quality by users. Since SMT boards use a combined glue and solder, they're more generally resilient and able to withstand day-to-day use, especially shaking and minor impacts. This makes them perfect for pocket-sized devices that will be put through stress in a given day. However, there is a caveat: SMT is a poor choice for connecting parts that will see significant direct human interaction, such as a physical connector the user will be manipulating. Additional adhesives or reinforcement are needed here for best durability. SMT is harder to service afterwards. Due to the manufacturing process, individual components cannot always be swapped out. One defect may mean replacing an entire board. SMT does not work with high-heat or high-power electronics. A piece like an AC Adapter would need to be manufactured with other methods. SMT prototypes require a full SMT setup and cannot be reliably tested using breadboards or other plug-and-play quick-prototyping techniques. 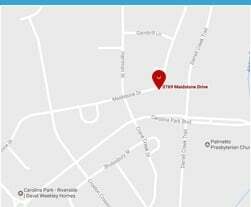 SMT products tend to respond poorly to wide variations in temperature, as thermal cycles weaken the glue. In geographic regions with temperature extremes, this may be an issue to consider. In most cases, SMT production is superior to older technologies... but not always. For a full consultation on your product and the best production techniques for it, contact Zentech today with any questions!